This Peanut Butter Ball recipe is as easy to make as Puppy Chow (which I am now craving), but instead of powdered sugar and chocolate, these have a sweet peanut buttery taste that keeps you coming back for more. These Peanut Butter Balls are one of my favorite snacks. Whenever I visit my Aunt Jolene in Houston, I always request that we make them. I’d like to call them “healthy” due to the high protein count in the peanut butter and the low-fat nature of Special K cereal, but I just can’t! There is absolutely too much Karo syrup and sugar in these balls for them to be “good for you”. Do not over-boil the Karo and sugar. If you do, the peanut butter balls will become hard as a rock, not chewy like they should be. Do not use chunky peanut butter. Jolene and I made that mistake, thinking that it would not make a difference, but it does. The chunky peanut butter makes it harder to shape the balls, thus they fall apart, and are too dry. 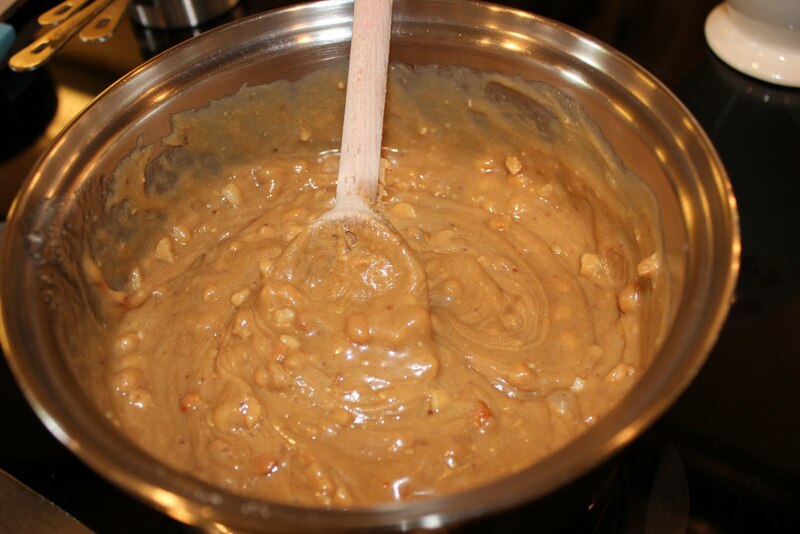 You need smooth peanut butter to keep them moist and in a ball. If you follow the directions just like I’ve stated, they ought to come out perfectly and you’ll be popping Peanut Butter Balls in your mouth one after the other. Enjoy! Combine the Special K cereal and flour together in a large bowl. Bring Karo and sugar just to a boil. Immediately remove from heat and stir in peanut butter. 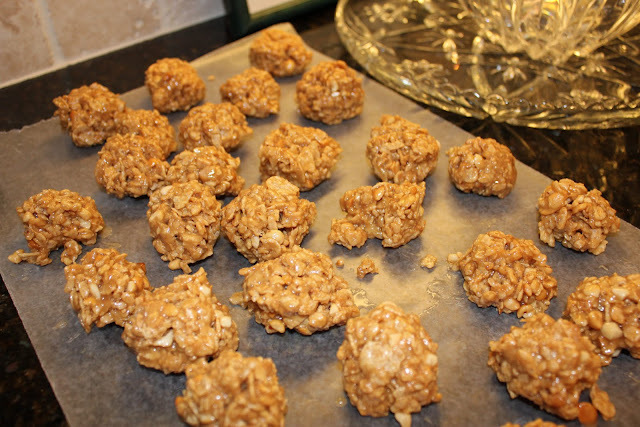 Pour peanut butter over Special K cereal mixture and shape into balls. 1. 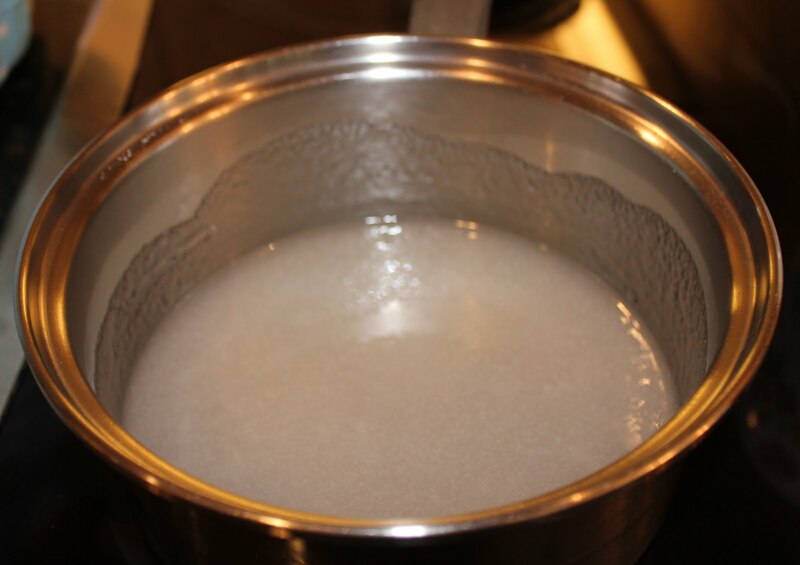 Place sugar and Karo into a saucepan and bring to a boil. Immediately remove from heat once it starts to bubble and stir in peanut butter. 2. 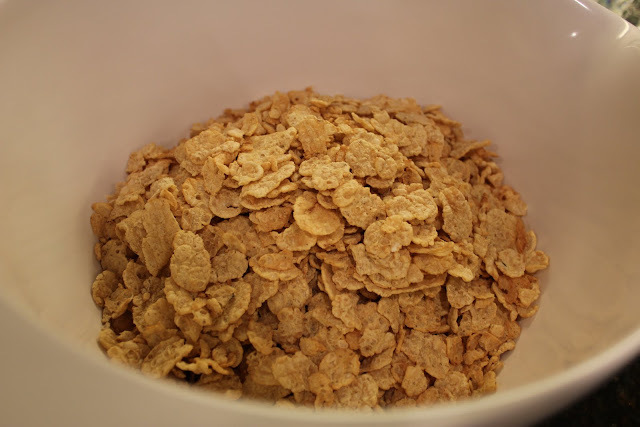 Meanwhile, in a large bowl, stir together flour and Special K. Pour peanut butter mixture over cereal. With greased hands, shape peanut butter and cereal into tightly compressed balls. 3. Place balls on wax paper and let cool completely. Enjoy.